United GP / Hyperdrome - büro MW: Digital Design based Hamburg, Germany. 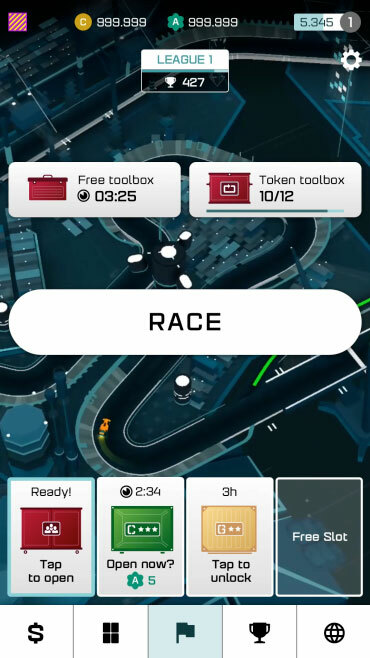 Excursions into game UI design: During 2013, büro MW was hired by ﻿Northworks to design the user interface for the motorsport manager game United GP. In 2017, Hyperdrome was born, which is based on United GP, but is set in the future, and is more action-/battle-based. United GP (UGP) is a classic casual game. You can customize your car, produce new components, adjust its settings, come up with a strategy and then take part in races of the ongoing season. without having to spend too much continuous time on it. 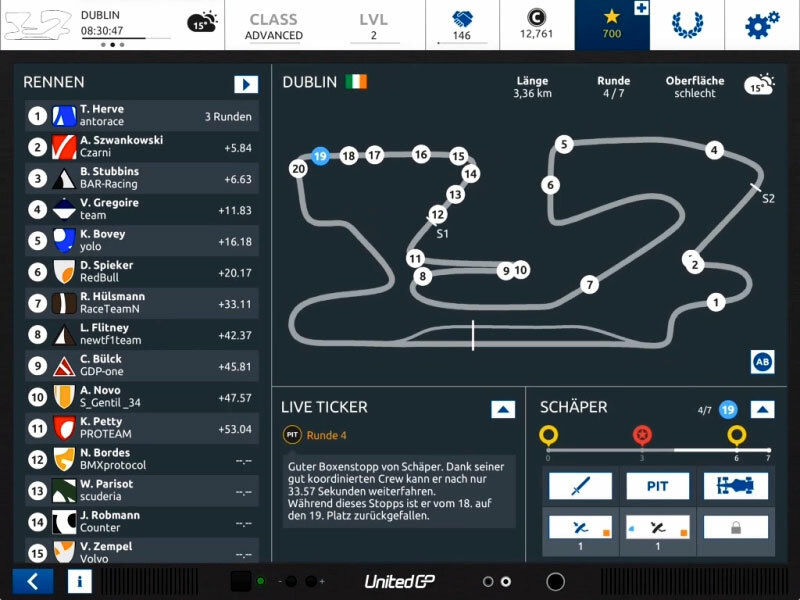 The UI is divided into a light mode for the set-up part and a dark split-screen UI for the race itself. UGP was originally developed for iPad and later adopted for browsers. Hyperdrome is the steroid-fueled iteration of United GP. It its set in a futuristic world where motorsport is enhanced by the use of hi-tech weapons and has developed into a deadly battlemode. The gameplay is built around the use of power-ups which are used to influence the race and combat your enemy. The target medium is mobile phones (iOS & Android).